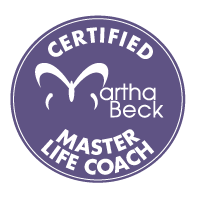 Over the past few years since I became a Martha Beck Master Certified Life Coach, I have been finding myself mentoring new coaches who want support after training. Teaching for MBI was actually my intention for becoming a master coach and while I did not go down that road in my coaching practice in order to pursue other coaching-related passions, coaches have found me through referrals. This is so much fun because I get to help them to play with the art and the science of the skills and tools in a kind and loving environment so they can then use them with their own clients. I also help them to create offerings that fit with their passions and the people they are drawn to serve. ​This is something that I truly enjoy doing because I love teaching and love helping other people shine in the world. I bring to the table lots of personal experience as a coach, creator of programs, mentor, teacher as well as things I've implemented into my coaching practice from what I've learned in the trainings I've done. I am someone who likes knowing how to do things from start to finish, something really helpful when developing things like tele-classes, workshops and retreats, as well as trainings. I've also been a participant in almost every kind of coach offering there is and find that connecting to that helps drive what clients might be wanting and needing from a coach. If this is something that you are interested in, let's chat to see if we are a good fit. I love working with coaches who are driven by the love of coaching and those they hope to help.